Indane is rated as one of the largest packed-LPG brands in the world. This clean, efficient and safe cooking fuel is the biggest distribution network in India with more than 1.20 million cylinders delivered to customers every day. With its field rapidly growing in the country, the company has come up with a lot of convenient ways for its customers to help with cylinder booking. According to a poll every second LPG cooking gas connection in India is an Indane. Of the 57.41 million families served by 5500 Indane distributors, 27% belong to the semi-urban and rural markets. Quite recently it has come up with responsive systems to accept requests for new cylinders. You can now easily book your Indane Gas cylinder via telephonic interactive voice responsive system (IVRS), online portal and SMS. 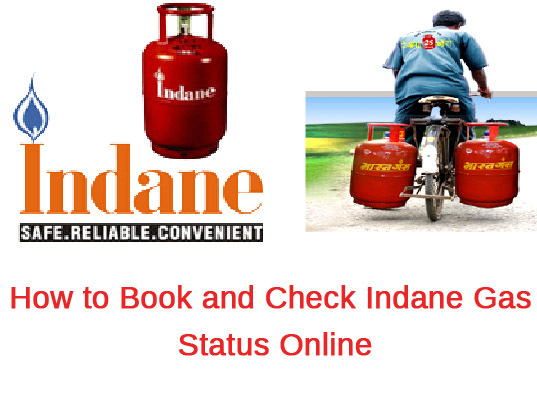 Read on for the stepwise guidance to book your Indane Gas cylinders and track your status for request for new cylinders. IndianOil has successfully launched a newly enhanced Automated Unified System (AUS) for customers to book Indane Gas in the major cities of India for faster, simpler and more efficient booking through SMS and IVRS supported dialing. This multi-modal IVRS system is prepared upon the studying the requests for thousands of cylinders every day. Different phone numbers are allotted for different state. This multi-modal IVRS system is prepared upon the studying the requests for thousands of cylinders every day. Different phone numbers are allotted for different state. Step 1: Select the language options. Step 2: Feed in the phone number of your distributor along with the STD code. Step 5: The system will then provide you your own reference number for refill booking. It will also help you register your phone number. Note: Registered members can request for refill cylinder, new connection, repair and DBC booking as well. With this new inclusion customers no longer need to go to the local office every time and call the regional in charge. If you reside outside of Delhi, you need to register your mobile number through IVR System. After registration, typing IOC to xxxxxxxxxx and book your cylinder. Following are the IVRS/SMS numbers applicable different states in India. Note down your number. Click here to note down the IVRS/SMS numbers applicable for different states in India. Step 1: Log in here to start the online booking process. Step 2: If you are not a registered member, click on ‘click here to register’ in the middle of the webpage. Step 3: After your registration is complete, login in the same page and click on the appropriate login link. For example, if are from Maharashtra, click on the link for Maharashtra to login. If you stay out of Maharashtra, click on the link for the rest of India. Step 4: Login to your account by feeding in your username and password. Step 5: Book your cylinder in your account. To know the exact status of your last booking simply check the booking history. How to lodge customer complain in Indane Gas? Indane Gas has a unique IOC number which is 18002333555 for customers across the country. The region wise call centers facilitate customers to lodge complaints in local language. The company has appointed reliable and customers friendly staff to report complaints from the customers. You may register for all your complaints in the manual mode from 8am to 8 pm and in the IVRS mode from 8pm to 8 am.